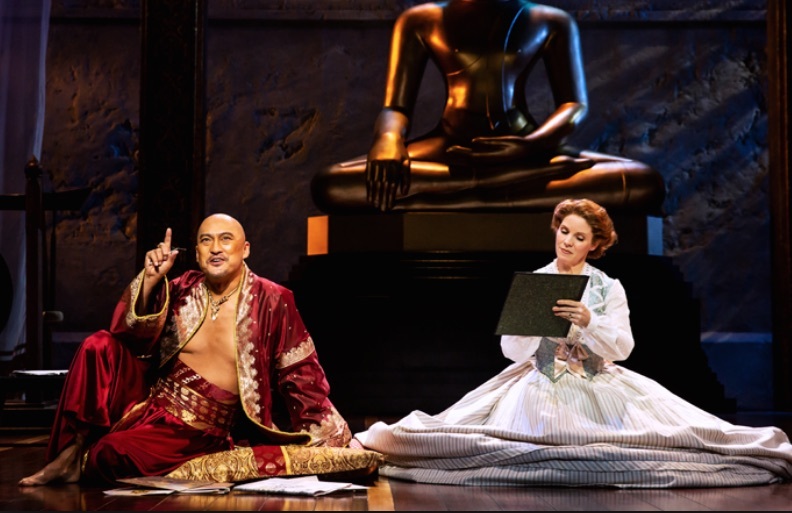 “The King and I” will be screened at theaters statewide on Thursday, Nov. 29, and Tuesday, Dec. 4, at 7 p.m.
Aliso Viejo: Aliso Viejo Stadium 20, 26701 Aliso Creek Rd. Bakersfield: Bakersfield Stadium 14, 9000-G Ming Ave.
El Cerrito: Rialto Cinemas Cerrito, 10070 San Pablo Ave.
Encino: Town Center 5, 17200 Ventura Blvd. Foothill Ranch: Foothill Towne Center Stadium 22. 26602 Towne Center Dr.
Glendale: Laemmle Glendale, 207 N. Maryland Ave.
Irvine: Edwards Irvine Spectrum 21, 500 Spectrum Center Dr.
La Canada: UC LA Canada 8, 1919 Verdugo Blvd. Los Angeles: Ipic Theaters Westwood, 10840 Wilshire Blvd. (Dec. 4 screening at 2 p.m.); Regal LA Live Stadium 14, 1000 W. Olympic Blvd. Palo Alto: Landmark Aquarius, 430 Emerson St.
Riverside: Regal Riverside Plaza Stadium 16, 3535 Riverside Plaza Dr.
Rocklin: Studio Movie Grill, 5140 Commons Dr.
Sacramento: UA Laguna Village 12, 8755 Center Parkway Dr.
San Rafael: Smith Rafael Film Center, 1118 Fourth St.
Santa Clarita: Edwards Valencia Stadium 12, 24435 Town Center Dr.
Santa Cruz: Landmark Nickelodeon Theatre, 210 Lincoln St.
Santa Maria: Edwards Santa Maria 10, 1521 S. Bradley Rd. Santa Monica: Monica 4, 1332 Second St.
Santa Rosa: Summerfield Cinemas, 551 Summerfield Rd. Temecula: Edwards Temecula Stadium 15, 40750 Winchester Rd. Recorded live this year at London’s Palladium, the 2015 Tony Award-winning Lincoln Center Theater revival of Rodgers and Hammerstein’s iconic musical bursts afresh on the big screen. Reprising her Tony-winning performance, Kelli O’Hara stars as Anna, alongside Tony nominee Ken Watanabe as the King. Set in 1860s Bangkok, the musical recounts the unconventional and tempestuous relationship between the King of Siam and Anna, a British schoolteacher he imports to teach his many wives and children. For more information, visit www.kingandimusicalcinema.com.